December 16, 2018 at 7:56p.m. 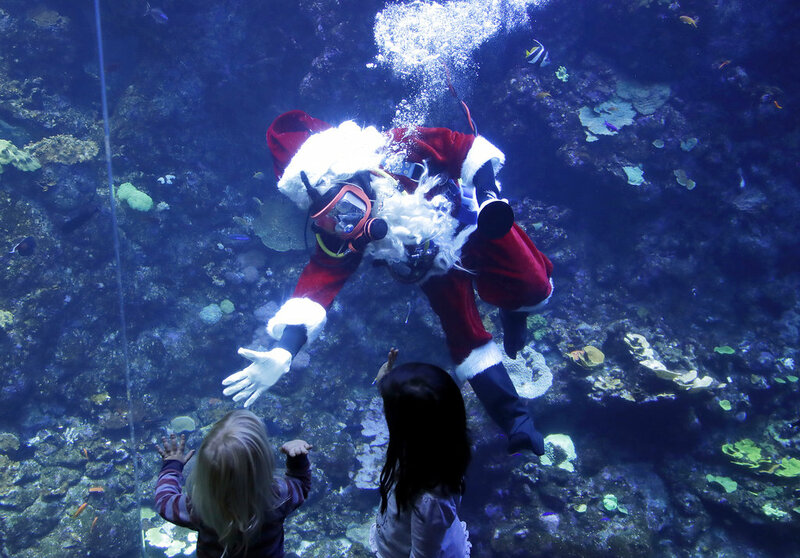 SAN FRANCISCO (AP) — It's a busy time for Santa Claus, but he's making time to feed some fish in San Francisco. The "Scuba Santa" show runs through Christmas Day. It takes place during the morning feed at the Philippine Coral Reef tank at the San Francisco museum. Volunteer diver George Bell donned his Santa suit, from hat to coal black boots, and scuba gear for a recent feed and fielded visitors' questions from inside the tank. People can watch Santa's appearance online by webcam .